Carole A. (Nelson) Goodburn, 81, of 600 Valley Rd, Middletown, died October 18, 2015 surrounded by family. She was the wife of the late James O. Goodburn. Born in Chanute, KS on June 28, 1934, she was the daughter of the late Leif R. and Fern M. Nelson. Carole was a sister to Nancy Fletcher of Sarasota, FL and her husband Mike and her brother Larry Nelson of Denver, CO and his wife LeAnn. She was a resident of Middletown since 1972. She was a retired secretary, having worked many different positions and held many volunteer jobs including leader positions in both Brownie and Girl Scouts. She was an active member of St. Peter's Lutheran Church, singing in the choir and participating in the ladies' group. Carole was a member of Wanumetonomy Golf Club enjoying both golf and bridge and also a member of ACBL Duplicate Bridge Club. She leaves a son, David S. Goodburn and his wife Jennelle and their 3 children, Andrew, Ryan and Matthew all of Jamestown, RI. She is survived by 2 daughters, Cynthia (Goodburn) Dube and her husband Robert of Middletown, RI and their 2 children, Brian and Danielle, and Linda (Goodburn,Floody) Taylor and her 2 children, Justin Floody and Matthew Floody and his wife Ashleigh of Atlanta, GA. Calling hours will be held on Wednesday, October 21, 2015 from 4:00-6:00 p.m. in Memorial Funeral Home, 375 Broadway, Newport, RI. A memorial service will be held on Thursday, October 22, 2015 at 11:00 a.m. in St. Peter's Lutheran Church, 525 Broadway, Newport, RI. 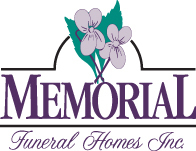 Memorial donations may be made to St. Peter's Memorial Fund or a charity of your choice.